The first week of the Geology module wrapped up with a field excursion to the Lothidok Range. 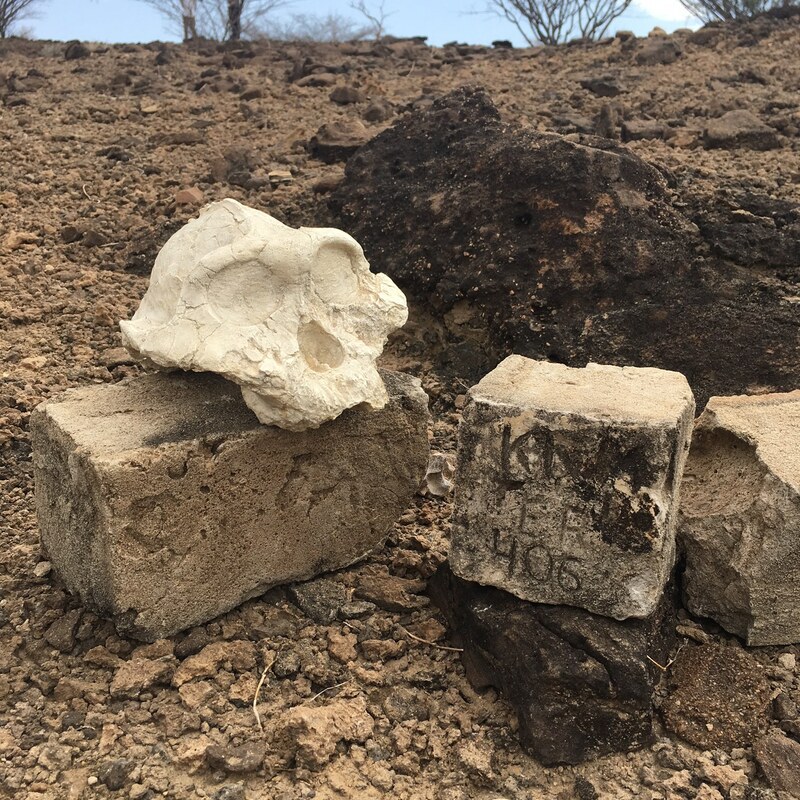 Some outcrops at Lothidok expose Oligocene and Miocene strata and have in the past yielded fossils that are important to understanding primate evolution. 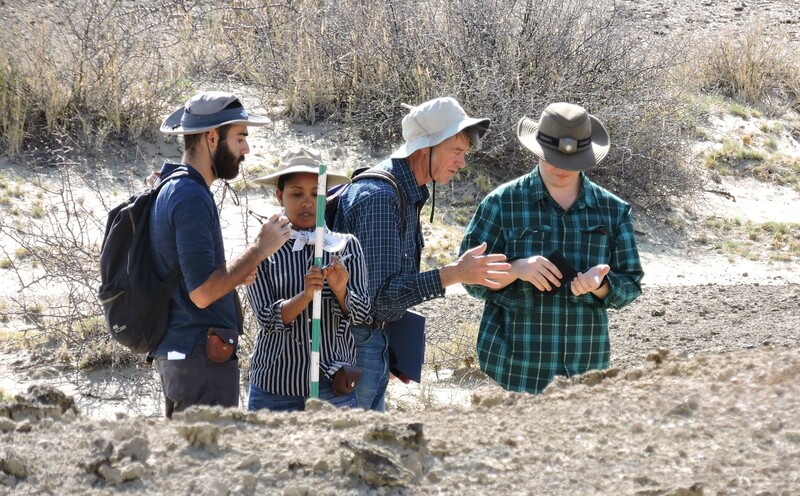 Dr. Lepre led the students day hiking across a portion of Lothidok while they surveyed geologic features in a scavenger hunt lab exercise. 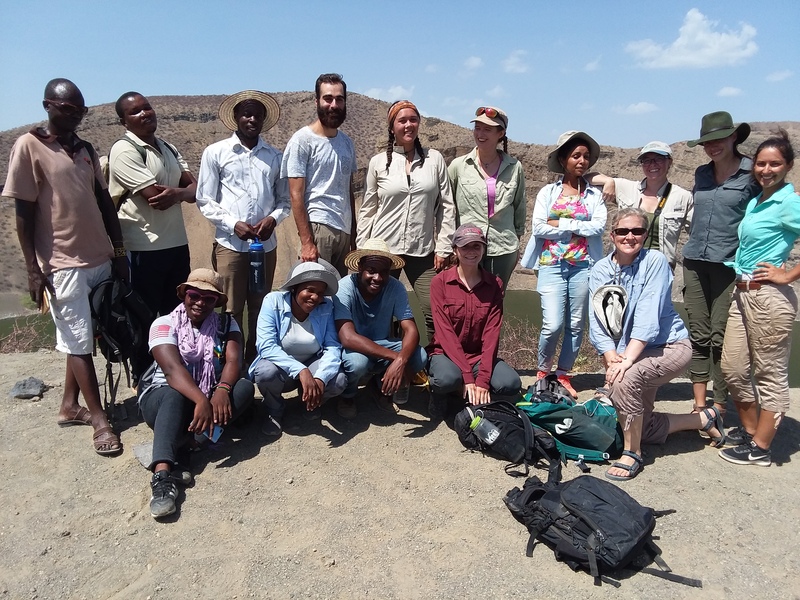 With much success, the students converted classroom discussions to practical field geology while taking advantage of the opportunity to explore the landscapes of Turkana. 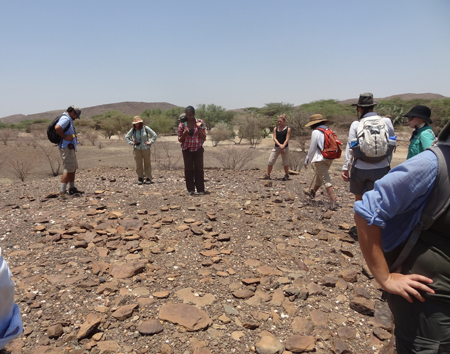 Towards the end of the day the group found a cairn-site that no previous field school had yet identified. The cairn-site discovery put into context the integrated nature of field geology and archaeology and cued student inquiries into upcoming modules. 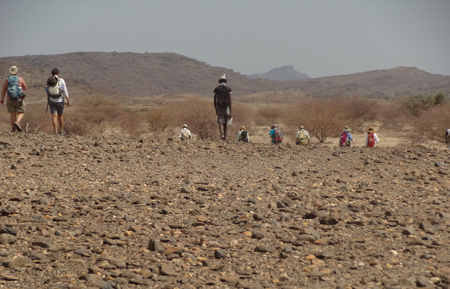 The second week of Geology will include a day excursion to South Turkwel and an overnight trip to Lothagam. 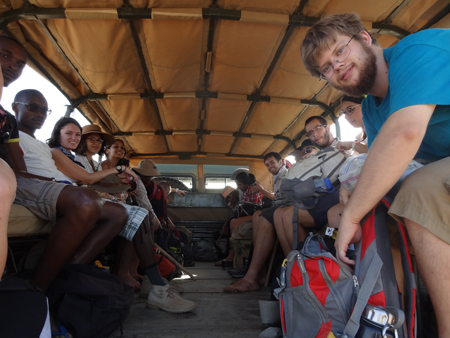 GEO303 – Students load into the truck for a day excursion to Lothidok. 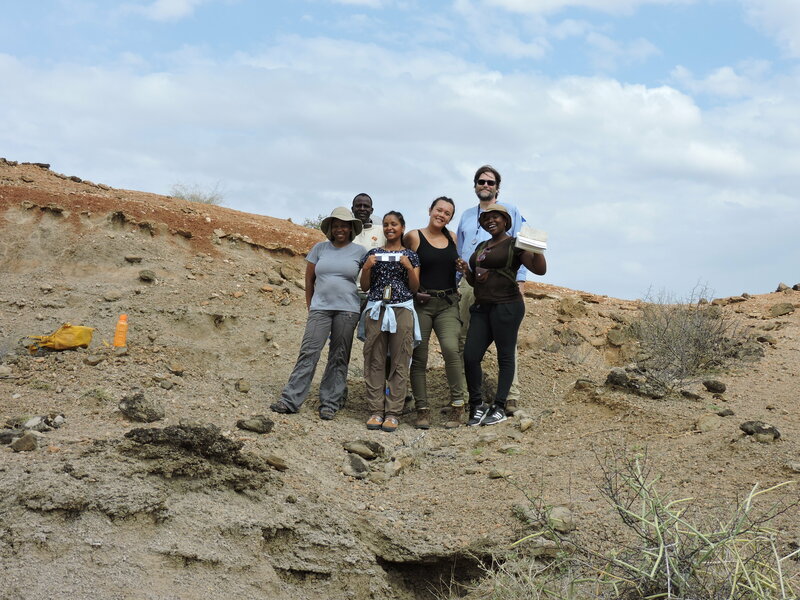 GEO303 – Scouring the Lothidok landscape in a geologic scavenger hunt. 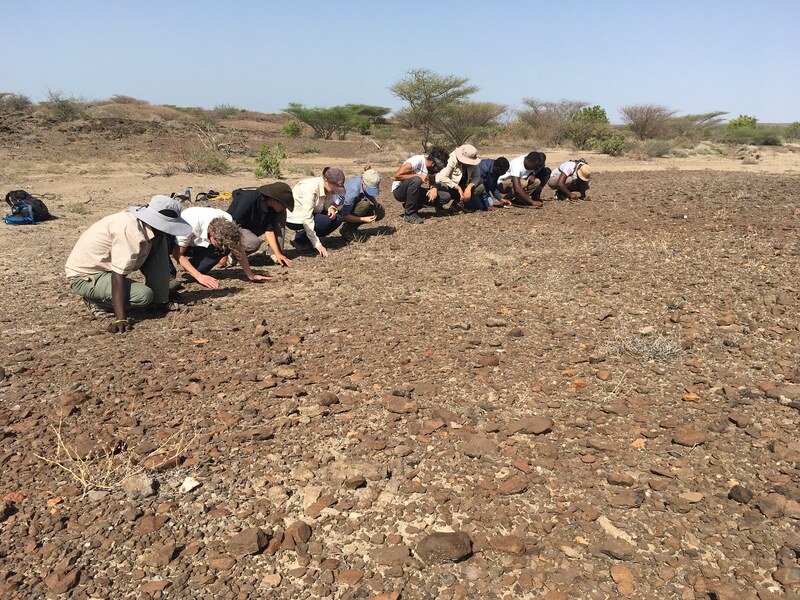 GEO303 – Dr. Lepre and the students find and discuss a cairn-site at Lothidok.